Hiatt has been a great big brother. He has been loving, caring and concerned with his new little sister. He is very gentle and attentive to her crying. He has tucked her in with her blanket and constantly checks on her. He is a proud brother. The other day we were all getting things ready for dinner and Brittany noticed Hiatt next to Sutton in her rocking napper. 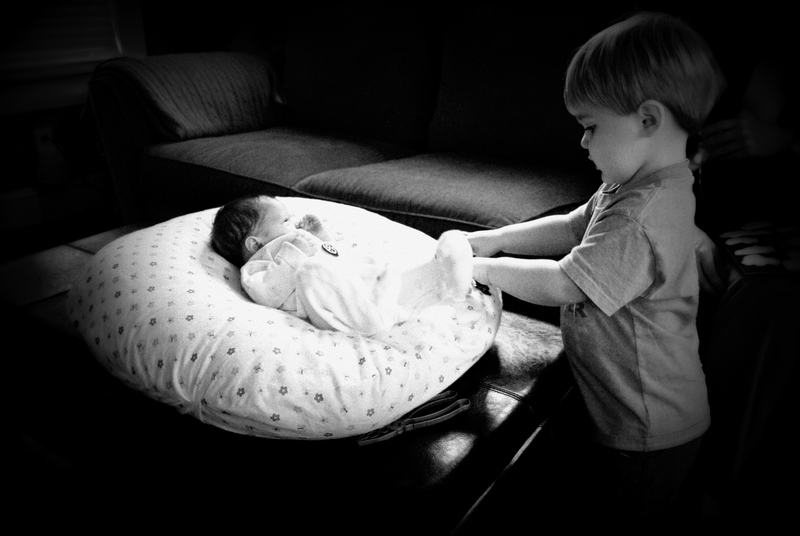 He was gently rocking her and looking over the edge admiring his sister. After a brief moment of this, he held his hand out to her with great confidence expecting a reply and said “High Five Sutton!”. He is going to be a great brother and her best friend. They both amaze us every day. What a beautiful strong family sweet Sutton has been born into. Sounds like God hand picked the most perfect parents and brother too for Sutton’s journey. Little girls are fighters! You all are in my prayers!! God sent Hiatt first so Sutton could have a big brother to love and protect her.